With the increasing availability of electrical energy from renewable sources — particularly wind energy — coordinating demand with fluctuating supply is an attractive leverage to support the energy transition ‘Energiewende’. Within the Happy Power Hour II project, Wuppertal local energy provider WSW is collaborating with industrial clients, researchers, and technology providers to develop a dynamic electricity tariff dependable on both the accuracy of the prediction as well as on the ability to shift consumption away from the peak-demand times. While the previous project “Happy Power Hour” proved that in principle, dynamic energy tariffs are technically feasible in an industrial context and bear potential benefits for all actors, this follow-up project aims at developing, testing and implementing a practical, dynamic industry tariff together with the project partners. The CSCP is working with our local research partner Neue Effizienz on how to shape such dynamic electricity tariffs to meet the requirements of energy-intense industries and the incentives required to make them attractive. This will be done in close cooperation with the involved companies and their staff to ensure that their needs and also reservations regarding a dynamic electricity tariff are being addressed appropriately. It covers technical and organizational considerations (e.g. how to communicate with the energy provider the most efficient and flexible way) as well as business model considerations for such dynamic electricity tariffs (e.g. how can flexbilisation be incentivized). All results will be consolidated within a set of tools and methods suitable to facilitate the implementation and catalyse the acceptance of the tariffs within a wide array of companies and can be used and replicated by energy providers. 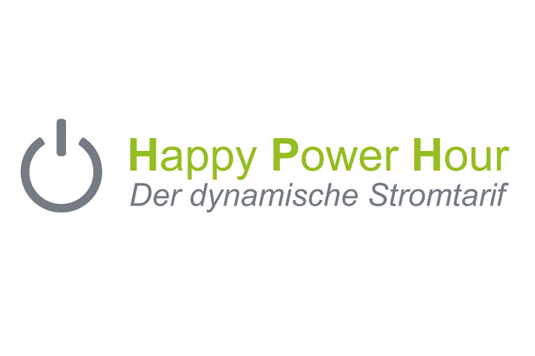 Happy Power Hour II seeks to contribute to the German “Energiewende” since cutting the consumption peaks by smarter timing at the demand-side paves the way for the transition from non-renewable to renewable sources of energy. The project is led by the University of Wuppertal and is scheduled from February 2016 to February 2019, funded jointly by the European Union and North Rhine-Westphalia (NRW) under the European Regional Development Fund (EFRE) 2014 -2020. The Ministry for Economy, Energy, Industry and Trade of North Rhine-Westphalia is the managing authority for European Regional Development Fund. Established by the European Union, European Regional Development Fund funds help local areas stimulate their economic development by investing in projects which will support innovation, businesses, create jobs and local community regenerations.